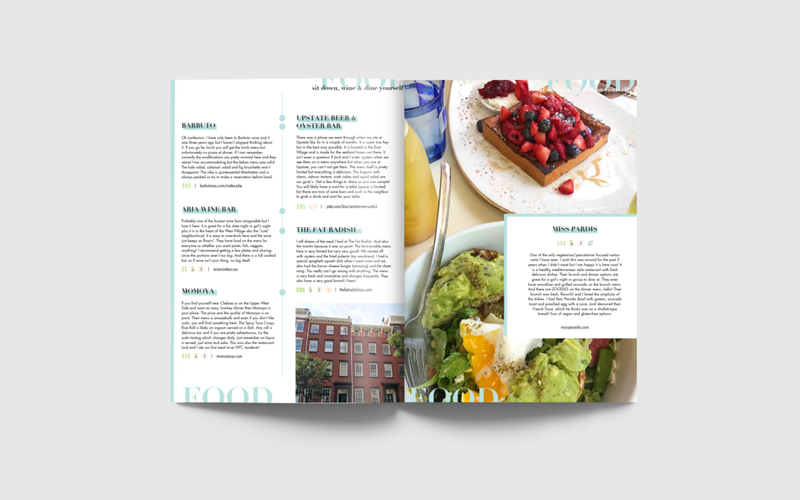 I received the opportunity to work with food blogger/influencer Rachel Mansfield on designing her New York City Guide. Rachel provided me with a Google Document of a collection of restaurants, fitness spots, places to stay, attractions, and other activities in NYC. I took this text document and designed this guide for her to then turn around and sell to her viewers. This has been one of my favorite projects to work on thus far. I love layout design and loved working in with a health and wellness blogger-- a realm I am passionate about myself.